All of the components are housed in the Apevia X-QPACK3-RD MicroATX Mini Tower. This case is an affordable option that has front panel USB3.0, room for full size graphics cards, and cutouts in the motherboard tray for easy cable routing. For our power supply, we're using a parametric selection of well-reviewed fully and semi-modular units, all of which will provide more than enough power for this system. I added the Gigabyte GC-WB867D-I PCI-Express x1 802.11a/b/g/n/ac Wi-Fi Adapter for obvious reasons. Will there be enough room left in the case for this adapter? I'm not sure about the room for that adapter (I'm new to this as well). I'm opting for this dual band USB 3.0 adapter because I can easily switch it out. Unfortunately it isn't in stock at this moment. This is a more expensive option that I might end up getting instead due to it's faster transfer speeds on 5GHz networks. I do know that the CPU cooler is totally fine if you don't plan on overclocking. I'm sticking with the stock cooler for sure. The CPU includes a stock cooler, if you want to upgrade to a K (unlocked) version of CPU's, then you need to buy a CPU Cooler because it doesn't have a stock cooler. Would everything be fine if I switched the RX 480 to a GTX 1070? Yep, everything should be totally fine if you want a 1070 instead. Yea that would work fine too. Doesn't enterprise just mean more good? Like better for heavy use and more durable? That's exactly the point - they're designed to last for a longer period of time, but most enterprise drives trade noise for reliability. What alterations, if any, might you make to this build to accommodate modest streaming of gameplay to twitch or similar? Streaming I would get an i7 since it has hyperthreading. 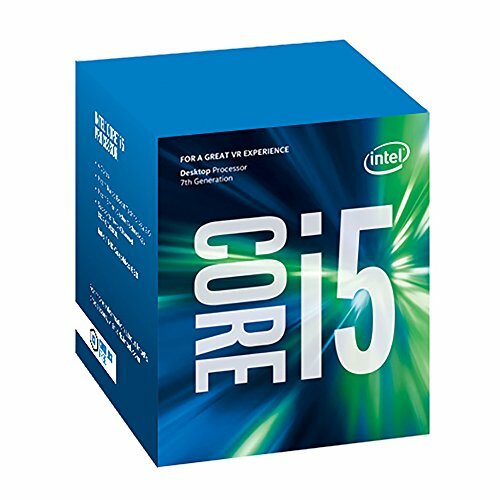 Is there an i7 that has better performance and hyperthreading while being priced around $200? I'm new to this and not very familiar with processor prices or capabilities. I'm planning on recording gameplay and possibly streaming, so an i7 would be worth it, right? For sure. But you're going to only stream like once a week, you won't really need it. Thank you, I'll keep that in mind. I'm still going to look for an i7 in case I want to upgrade from this one. Do you have any suggestions for an i7? I don't know of any i7s for $200 but the 7700 or 7700k is a good start. If you're doing heavy streaming and gaming on one PC, I'd go with one more higher end. Like an i7 with 6+ cores, for example the i7 6850k. Intel's i7 line of processors costs $300+, you won't be able to get one for $200. I'd get a xeon if I were to stream on a budget. They don't cost much more than an i5, but can't overclock and don't have onboard graphics. But you do have a gpu. Yes, this PC is a great choice for all of those games. You should get above 60 fps on them all with settings close to max. How about games like Black Desert online or Tera? Can this build run them well? Yep, just looked up the system requirements. This build can handle both of those games with 60+ frames at max settings (or very close). 16GB I would consider the standard if you want ANYTHING else open in games that recommend 16. What kind of FPS do you get on let's say Just Cause 3, GTA V, or Far Cry 4 at maximum graphics settings ? And what about on one setting below maximum? This build will run all of those games with more than 60 fps, although that might be with one setting below maximum. I don't know the exact numbers, but I will probably come back and let you know if I end up building this. It's likely that someone else has a more precise answer. Is it capped at 60 FPS or is that just what it can handle. And also, in a year or so there will be elements of this computer that are outdated. Is there any room to expand or replace parts? What fps would games like Skyrim and Witcher 3 get, and on what settings? And would I be able to do a few mods? Should get above 60 fps on both games (close to max settings) with lots of mods installed (depends on the mods though). Very new to this, how would this build do for MMO gameplay? Depends on the game but it should have 0 issues. Definitely no issues with those. How would this build run MMOs like Black Desert or Tera? Generally speaking, cases are mostly personal choice. Would it be possible to use a GTX 1060 6gb instead of the RX 480? Yep, that's perfectly okay. It has 2gb less memory, but that will probably never be a problem. It's essentially up to your personal preference. They both perform excellently, with very minor differences. And regarding the 1060, which of these two would be better? From what I can tell, the Gaming X 1060 has a higher base core clock, meaning it will provide better gaming performance. If you're looking for fps, that would be the one to get. Just wondering if this build would be able to run Ark Survival evolved with 50-60 Fps on high settings. If not what can I change to make sure it can? Thanks. Yes, it will be able to run it with at least 50 fps on high settings. How would I install Windows 10, or any version of windows, onto my PC? Complete noob to PC building here. Thank you! There is actually windows for free. You'll just have a windows watermark in the side; not anything major. Mass Effect Andromeda's system requirements have been officially released! Would this build run ME:Andromeda smoothly? Yes, maybe with some settings turned down slightly. Yes, this build will run ME: Andromeda smoothly (60+ fps). It might not be on max settings, but it will definitely be close. "I want an i7 because I'm streaming!" Wait for Ryzen if you want to stream, an i7-6700K will still struggle to deliver all the frames unless you're using GPU encoding. Is this wifi capable or do I need to buy? Newb question here, but the OEM Operating system isnt on this list? Do I have to get that as well? Does that mean I have to include an optical drive? or can I use an external to install it? What are the main differences between this build and modest gaming build #6 (the previous revision)? Also would I be able to upgrade to an i7 with this same motherboard? How reliable are these other websites? All of the retailers on our site are ones that we would be comfortable purchasing from ourselves. So I'm new to this pc thing. Can this build run games like Black Desert and Tera well? I know Black Desert is pretty taxing. ... where does the " ADATA Premier SP550 240GB M.2-2280 Solid State Drive " go? The ADATA Premier SP550 240GB M.2-2280 Solid State Drive, is an M.2 drive so it would go in your M.2 slot on the motherboard. Most motherboards have it on the front, in this one it is beneath the CPU socket, but there are some that have it on the back. You would slide it in, secure it with a strew, and it would sit parallel to the motherboard. I'm not the most knowledgeable about PC's so someone please correct me if I'm wrong. Ah i see it! Thankyou! 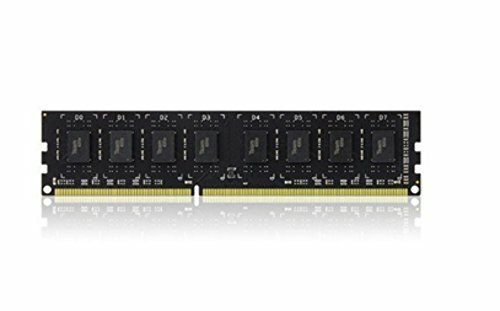 Would Kingston HyperX Beast RAM work instead of the one listed in the build? I already have some lying around, and it seems like a waste of money to buy more RAM if I can help it. If I changed out the GPU for an evga GTX 1060, how well would this run Just Cause 3? What about Astroneer? Either way it can run them pretty well. The 1060 and 480 have pretty similar performance. Why are both the ADATA Premier and Toshiba selected for Storage? What Good does purchasing both do? How will the Wattage affect gameplay? What is a drive bay (as referenced in the Compatibility notes section)? and how would the instance of certain drive bays being blocked by the graphics card affect the PC? 1- The ADATA is an SSD, meaning it's faster but more expensive, while the Toshiba is an HDD, cheaper and slower. With this combo, you can install your Windows/core programs to the SSD for snapiness and speed, and put everything else on the HDD, with a comfortable amount of storage available. 2- none, i think. All the USB slots in the back in the case's pics are from the mobo, not the case itself. I do recommend going for a case that has some front USB ports for their convenience. 3- It doesn't. Your computer can take a maximum amount of power, when under heavy use. So all you need is a power supply with more wattage than your maximum draw, so that when you're squeezing your computer hard, it doesn't end up blowing up. 500W is usually enough, though a reminder to always look into getting a well reviewed PSU. 4- Drive bays are the physical slots where you install your storage devices. Basically the compatibility note is saying that your graphics card and hard drive might end up fight for space inside the case. But this shouldn't be a worry, as the case has 4 different hard drive slots, so you can just rearrange things as needed. 5- Sata 6Gb/s is how you connect your hard drives (usually) to your mobo. I don't see that referenced, but I doubt that'd be an issue. There are plenty of Sata 6gb/s and Sata 3gb/s slots, so just using a different one works fine. hey guys I'm very new to this, but I'm overwhelmed and hyped about building my own pc but this is a little out of my price range, i plan on playing games like Arma 3, Dayz and ark etc, my budget is 900 bucks at max due to the fat i need a monitor, mouse and keyboard. But I'm not overly fussed on getting max quality compared to performance. So if anyone has any pointers on how to cheapen this build would be muchly appreciated. thanks guys. https://pcpartpicker.com/list/rBQbxY here's a build list. Just changed out the PSU to a similarly great one that's cheaper, and a cheaper case. I also got a smaller SSD, but you can take that out completely if you want to. SSD's are nice and fast and snappy, but they don't affect performance. 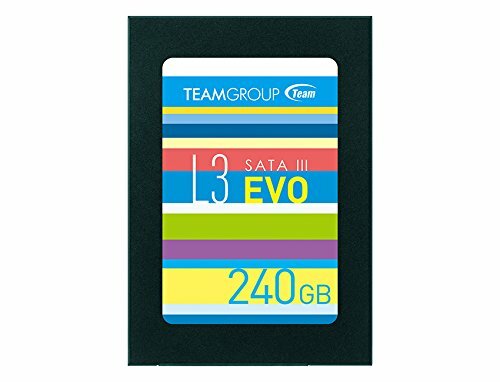 Personally I have a small SSD for the operating system (so that the computer feels fast), but an HDD for all my programs. Will the graphics card block any bays? First time builder here Anything i should be cautious of when trying to build this? Any specific differences? Anything extra i might need to buy to build it? Will this stay cool with just the case fan or would a cpu fan be necessary? 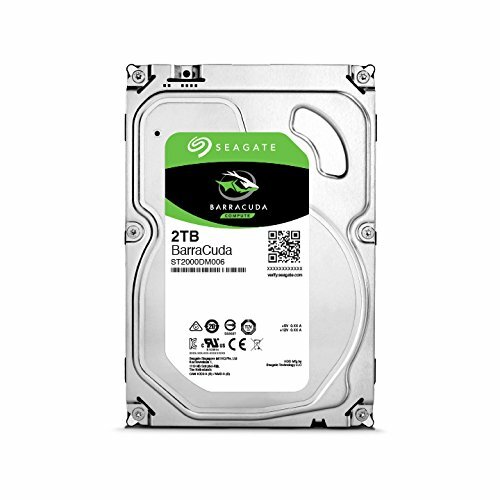 Any way of modifying this a bit (or leaving it the same) to make it a hackintosh? Putting a build together for a Racing Simulator. I want to start streaming and I'm wondering if this is the right one for me. Im a huge noob in this and I'm a first time builder . Will there be room for a new fan and a wifi adapter? It has ZERO description is it is just a list of random parts with no explanation as to why you chose each part. The motherboard doesn't support overclocking and even if it did it would fry itself due to no VRM heastisnk and a low power phase , the CPU cooler is ancient and is awful for its price. The motherboard may not be compatible with the CPU out of the box due to needing a BIOS update. It has a much much worse PSU, you should never cheap out on the PSU. A worse GPU. No SSD. It has a ITX case in a mid tower case which will look stupid. Too much for that RAM. There was nothing wrong. It said everything is compatible. But i guess i'll take yr advice. What would be a good replacement for CPU? The i5 7500, no need to pay for features (a unlocked multiplier) that you can't use. And for motherboard? You said incompatibility?